If this week's national news cycle hasn't given you enough sudden plot turns, fear not. Well, fear a little — the Eureka Theater is showing a month's worth of Alfred Hitchcock films sponsored by the North Coast Journal. Start the suspense on Friday, Aug. 4 at 7:30 p.m. with Notorious ($5). 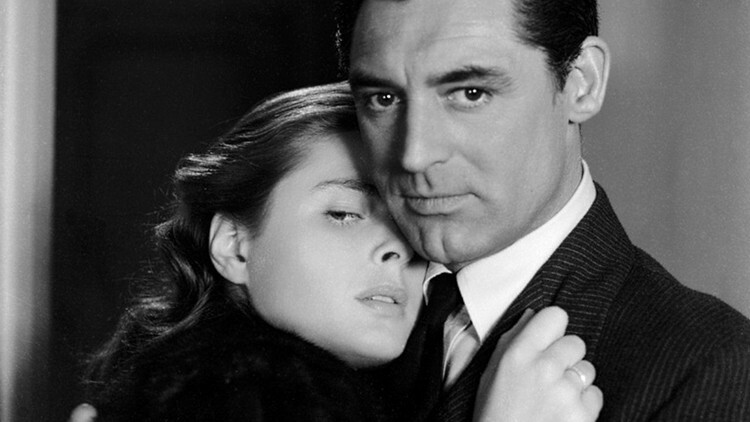 Ingrid Bergman and Cary Grant run hot and cold in this 1946 romantic thriller about a G-man who falls in love with the playgirl he sends undercover to bust Nazis hiding out in Argentina. Makes us nostalgic for the days when Nazis had to hide out. On Friday, Aug. 11 at 7:30 p.m., see Farley Granger and Robert Walker make a killer deal in the 1951 classic Strangers on a Train ($5). The plan is to trade out murders — a father for a wife — so there's nothing to connect each man to the crime. But when one of them wants to back out, they go round and round. Nowhere to go on Friday, Aug. 18 at 7:30 p.m.? There's room in the theater and at the Bates Motel when Psycho (1960) cuts loose on the big screen ($5). Anthony Perkins and Janet Leigh star in this iconic Hitchcock screamer and just keep telling yourself that's just Hershey's syrup going down the drain. Hey, bring your mother. In one final twist, the series wraps up on Saturday, Aug. 26 at 7:30 p.m. with The Birds (1963), sponsored by Seamoor's novelty shop. Tippi Hedren gets her feathers ruffled alongside Fred Taylor as flocks of angry birds dive bomb the residents of Bodega Bay. Bring a sweater for the chills and get your popcorn early so you don't miss Hitchcock's cameos.